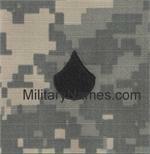 ACU UCP RANK Insignia WithOut Hook (Sew On) Military Name Tapes & Rank Insignia. Leather Flight Badges for all Branches of Service. Rank insignias for the Army Combat Uniforms. 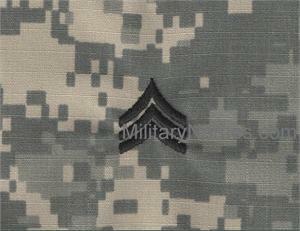 Embroidered ranks on digitized fabric WithOut Hook made to regulations.